February 19, 2018 PDF download of this press release Dear Journalist: Early each week, Porsche Cars North America will provide a weekend summary or pre-race event notes package, covering the IMSA WeatherTech SportsCar Championship, Pirelli World Challenge (PWC), the FIA World Endurance Championship (WEC) or other areas of interest from the world of Porsche Motorsport…. 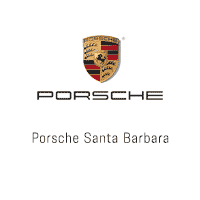 February 27, 2018 PDF download of this press release Dear Journalist: Early each week, Porsche Cars North America will provide a weekend summary or pre-race event notes package, covering the IMSA WeatherTech SportsCar Championship, Pirelli World Challenge (PWC), the FIA World Endurance Championship (WEC) or other areas of interest from the world of Porsche Motorsport…. March 02, 2018 Stuttgart. Porsche revs into its anniversary year with the premiere of the most powerful road-approved high-performance sports car featuring a naturally aspirated engine. At the 88th International Geneva Motor Show (March 6-18, 2018), the Stuttgart sports car manufacturer unveils the new 911 GT3 RS on Tuesday, 6 March, at 9:20 a.m. (CET)….